The Pitney Bowes Parcel Shipping Index reports Australia’s annual parcel shipping volume grew by 63 million in 2017, and is expected to surpass one billion parcels in 2020. The index reports that parcel shipping generated $9.2 billion in revenue last year, an increase of 6.2 per cent over 2016. Parcel volume in Australia grew eight per cent last year to 841 million parcels, up from 778 million in 2016. The annual report, which measures both volume and spending for business-to-business, business-to-consumer, consumer-to-business and consumer-consigned shipments, shows Australians receive an average of 34 parcels each year, driven by fast growth in e-commerce sales this past year. The e-commerce revolution in Australia has contributed significantly to the strength of the parcel shipping market. The seamless service provided by many online marketplaces has driven consumers’ expectations for convenience, price and availability of products from around the world, made possible through global e-commerce. The omnipresence of e-commerce has spurred a global boom industry, with parcel shipping generating $279 billion in global revenue last year, increasing 11 per cent from 2016. In the 13 markets reviewed, the Shipping Index expects global shipping volume to surpass 100 billion parcels by the year 2020. Australia’s parcel market is expected to grow to more than 1 billion parcels a year by 2021. The parcel delivery market is seeing an exponential growth backed by ease of shipping, delivery and tracking parcels domestic and internationally. “The Australian and New Zealand market is gearing for an exponential growth as we’re also seeing more and more e-commerce companies looking to the shipping industry with a value proposition. Pitney Bowes accelerated its entry into the shipping market by introducing SendPro to Australian SMB retailers. As the competition heats up, simplified and reliable service, accelerated delivery times, and transparent and accurate tracking will be the key to success,” Mr Darracott continued. China’s Parcel Volume Triples United States’: China (40.1 billion), the United States (11.9 billion), and Japan (9.6 billion) represented the top three countries for parcel shipping volume in 2017. China’s parcel shipments represent 53 per cent of the total shipments in the Pitney Bowes Parcel Shipping Index. United States Tops Shipping Revenue: The United States ranks highest in parcel shipping revenue at $107 billion, generating 38 per cent of the total revenue of the 13 countries. China ($73 billion) and Japan ($25 billion) follow. The average shipping price of a parcel is $8.95 in the US, compared to $1.83 in China and $2.64 in Japan. China’s Parcel Growth Continued to Soar: Despite slower parcel volume growth from the previous four years, China represents the largest market in parcel volume growth at 28 per cent YOY. India (11 per cent) and Sweden (9 per cent) followed. Japanese Residents Receive the Most Packages: Japan tops per capita shipping with 76 parcels shipped per person in 2017. The UK follows at 48 parcels shipped per person, and then Germany at 41 parcels. The Pitney Bowes Parcel Shipping Index measures parcel volume and spending for business-to-business, business-to-consumer, consumer-to-business and consumer-consigned shipments with weight up to 31.5kg (70 pounds) across Australia, Brazil, Canada, China, France, Germany, India, Italy, Japan, Norway, Sweden, the United Kingdom and the United States. Population data points were sourced from the International Monetary Fund, World Economic Outlook Database published in October 2017. The Pitney Bowes Parcel Shipping Index spans 13 countries and represents the parcel shipping activity of 3.7 billion people. 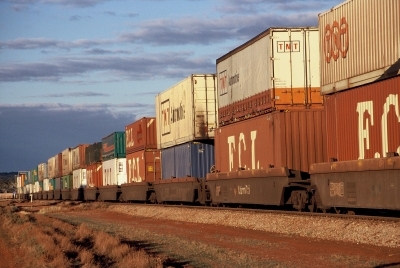 Giving way to the wealthy – and will freight fit in?